The complete unit addresses all of the the 2nd Grade NGSS Life Science & Engineering Standards in depth! What makes up a habitat? 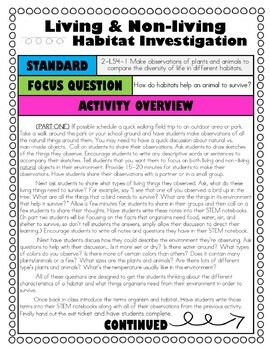 In this exploration students will begin observing the habitat closest to them. 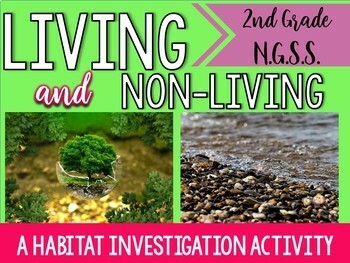 What kind of living things can be found in a habitat? What kind of non-living things can be found? 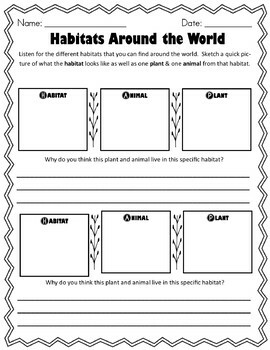 How do habitats help living things survive? 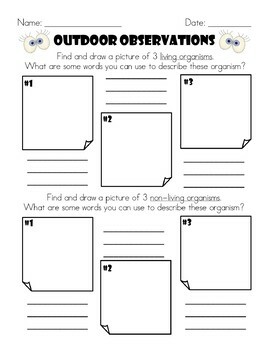 Through this exploration students will set the foundation to address one of the 2nd Grade Next Generation Science Standards 2-LS4-1: Make observations of plants and animals to compare the diversity of life in different habitats. Some of the other lessons included in theNGSS COMPLETE Life Science Unit!